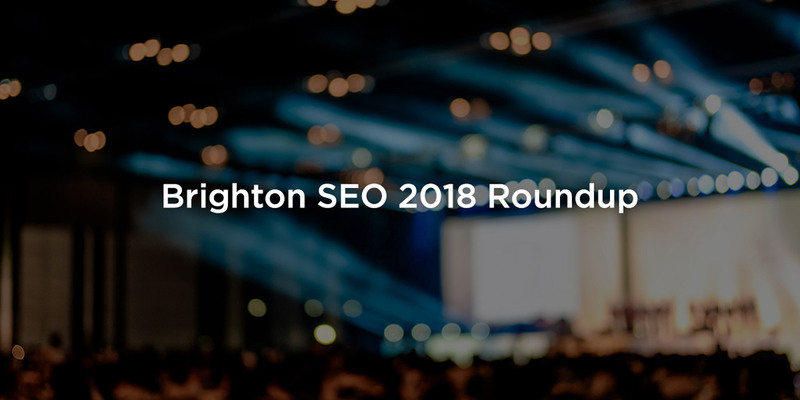 Thanks to the miracle of technology, our Search team attended this Spring’s Brighton SEO conference without ever leaving the office! The live stream proved to be a great way to get involved. Here are some interesting tidbits from the event. As you’re probably aware, there isn’t really a “page one of Google” anymore – the results are personalised by location and browsing history. In a similar way, there isn’t a perfect SEO strategy that will work for every site. Marcus Tober’s talk about niche ranking factors had some interesting examples – and essentially, his message was that what’s important for the SEO of your site depends on your industry or niche. For fitness websites, video content appears to be an important ranking factor. For dating websites, social signals may have more weight. And on legal sites, authoritative, longform content could be key. One thing Marcus didn’t mention is that correlation isn’t causation. Just because lots of fitness sites on page one of Google have videos, doesn’t necessarily mean they’re there because they have videos. Having said that, it’s a good place to start. Steve Rayson and Giles Palmer spoke about the 2018 Content Trends Report from BuzzSumo. A key takeaway? Content sharing via social media has halved since 2015. There are a number of factors in this, from changes in Facebook algorithms and people sharing more in private spaces like Messenger and WhatsApp, to the sheer volume of articles being written on a given topic. This is a new tool that’s part of Google’s Chrome Browser – mentioned as part of a very good talk on technical SEO by ex-Googler Fili Wiese. To use it, go to your website in Chrome, right click and select Inspect. This brings up the DevTools Panel. Click Audits on the menu at the top, then, “Perform an audit…”. Tick the things you want to check. The top two relate to apps and web apps, so most sites will just use the bottom three. Click “Run Audit”. Once the tool’s finished, you’ll get scores out of 100 and can view details of what’s good and bad about your site. If you want to check your website quickly for technical issues and the very basics of SEO, this is a great tool. Use it alongside Google’s mobile-friendly and pagespeed tests. There were a few good talks on link building, but Greg Gifford was particularly entertaining (and informative). People often obsess over big, high-profile links from well-known sites, but often, local links from smaller sites can be more relevant and powerful. Getting the same links as competitors has its place – if only to devalue them – but it’s getting unique links that really matter. Take advantage of existing relationships (and build new ones) to get links from distributors, suppliers, and local organisations. Greg mentioned schools and churches as particularly good sources of links.